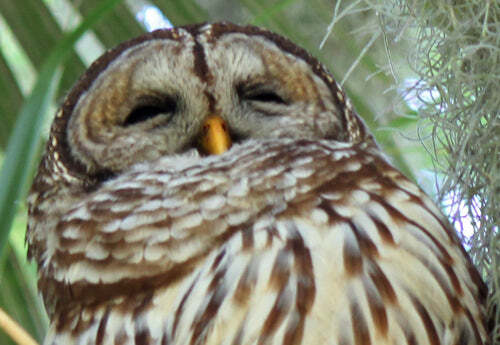 I knew there was a Barred Owl family with owlet around and today I finally saw them. That is Papa Owl in photo above. 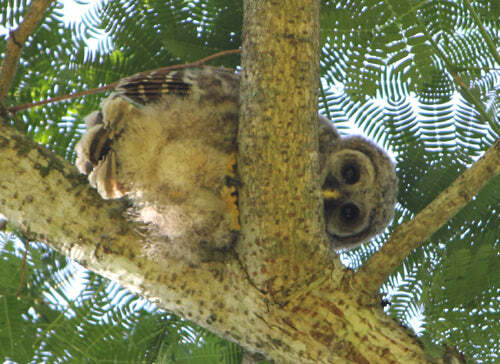 The owlet is already as big as the adults, although that is with a considerable amount of fluff. Owls are so cool, and this made my day!